So many great items are at a discount this Black Friday, including smartphones, televisions, laptops, wireless headphones and other tech & gadgets, plus a load of home goods to be had if you need new items that it’s a complete brainer to choose only a couple of highlights of the 2018 Black Friday ads. But here they are, 10 best Black Friday deals you’ll want to shop to get the best bang for your buck this holiday sale event. 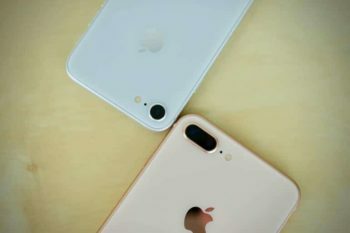 While you would indeed be paying full price for the iPhones in this offer, you would also be getting the season’s best iPhone deal as no other retailer has a more convenient gift card denomination than the $400 right here. Find it in-store only from 6 p.m. Thursday, November 22. Psst: If looking for a straight up discount, you’ll find it at Best Buy who are offering $150 off the iPhone XS, XS Max, and iPhone XR. 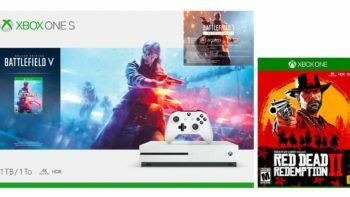 Everywhere you’ll look this Black Friday, you’re going to see the Battlefield V Bundle offered in various ways, but you’ll get the best offer shopping from Ebay who are throwing in the Red Dead Redemption 2 game of the year free. You’ll pay only $230 for this bundle. Offer is already available at Ebay. 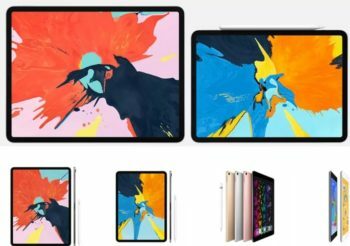 If you want more liberty of choice, head over to Target for this offer because theirs is an $80 discount on all iPad models, which means you can choose outside the 32GB iPad a model more suitable for you. 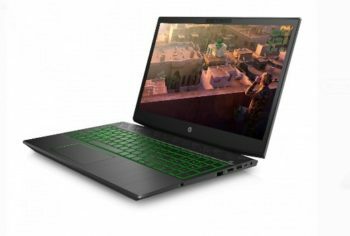 Find a top deal in the gaming laptops category this year at Walmart who are offering a most amazing price on one of the best gaming laptops under $600. Shop as soon as they open doors at 6PM on Black Friday because this deal will be selling fast. 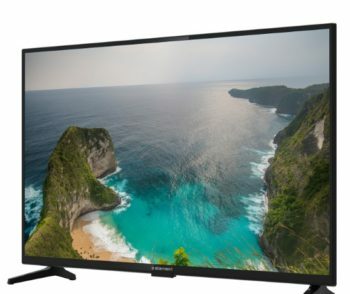 Walmart is the first retailer to sell a 65-inch 4K UHDTV at such a low price of under $400. 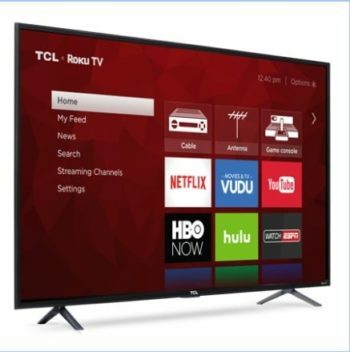 Truly, a doorbuster deal, and you can choose from either Sharp or TCL – both with Roku integration and featuring HDR color. 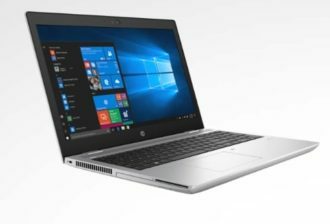 The amount you save on this mid-range but still high performing notebook PC from HP is no more, no less than $760 if you need a laptop upgrade. HP offers free shipping with this offer and the option to customize your notebook with various features. 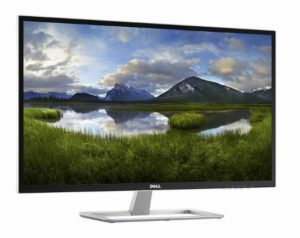 Reduced from $349, this 1080p monitor from Dell is well worth your bucks if you’ve been looking for it. It ships free straight to your door and is available to shop as we speak on Dell website. Hurry up because availability is limited. Here is another top deal available at Target this Black Friday who are offering a 55-inch television for the price of only $199.00 (originally $379.99). You can shop this offer in stores only, Target opening at 5PM on Thanksgiving and doors staying open until 1AM Black Friday. Psst: If you spend at least $50 on Black Friday at Target, you‘ll get a 20% off coupon to use between November 27 and December 8. It’s that big of a deal with JCPenney offering the KitchenAid mixer at $169 discount if you’re interested. 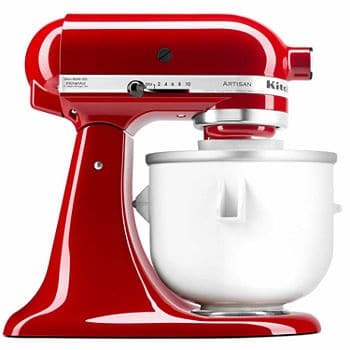 Regularly $449, this is one of the best offers this year for a KitchenAid mixer that works just as hard as you. 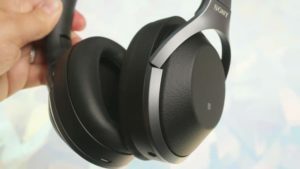 Available in limited quantities starting from 5PM on Thanksgiving is the WH-1000XM2 noise cancelling headphone from Sony that came out in 2017. Get them at $150 off and a good $200 investment. They’ll keep a long time.